When I was at ALA Midwinter, I attended a discussion on storytimes. As a youth services manager, I oversee ages birth-18 and part of my job includes doing two or more storytimes a week. I attended this session with a friend of mine who is also a youth services manager and who was proudly wearing a YALSA ribbon on her badge. When we walked in, someone expressed surprise (in a somewhat snarky manner) at the fact that a YALSA member would be interested in storytime. Why can't I be part of both children's and teen services and work with all ages? Why do children's and teen services have to apart? Why can't they work together? Maybe because I have always worked closely with both children's and teen departments, but they never seemed separate to me. I've worked in children's and teen services and see both of them as part of my job as a youth services librarian. I always have. Yet in the library world children's and teen services are often viewed as seperate and competing and don't always get along-and I'm not sure why. A couple of years ago, my library made a change to combine children's and teen and that created the position I have now as youth services manager. I oversee a staff that works in youth services. I will admit that it has been tricky at times transitioning and making sure staff feel trained enough in both children's and teen services. There are times I feel like glorified children's department manager who just gets to hear what's happening in teen. And it can be hard at times to get staff to remember they don't just work with one age group, but a larger group now. But we're getting there. We are working together to create one cohesive department that works as a whole. We program share, help each other cover desks, and have a larger group to bounce ideas off of than if we were separated. To me, youth services as a whole makes sense. Children's and teen services have many of the same goals. We want children and teens to use the library and become lifelong patrons of the library. We want them to see the value of the library in their lives. We want to enrich their lives with the services we provide at the library. We provide programming, reader's advisory and homework help. We are often not understood by other departments because our patrons are children who don't pay taxes or who don't write thank you notes and checks to the library. Instead they give feedback and thanks by singing along happily in storytime, saying hi to the library lady in the grocery store, volunteering their time as part of a teen advisory board and making duct tape wallets for the billionth time at a program. So why don't we work with each other more? I know that ALSC has been around much longer than YALSA and teen services is still somewhat of a new idea in libraries. (Which honestly is just crazy! How long do we need to talk about the importance of teen services before it's accepted as part of the library?) I will admit that I have been involved in YALSA more than I have ALSC, but that doesn't mean I don't see the value in both organizations. I am involved with both divisions. I'm a member of both divisions, and I value both divisions. I work with both age groups these divisions target. Even though my department is youth services, I still have designated staff that specialize in storytime or teen services. I understand that there are librarians who might specialize in one age group over another. I understand that working with one age group over another might not be your strong suit. Or even your passion. But that doesn't mean we don't jump in and help the other department or age group when needed. I do storytime in the morning and then turn around and help with a teen night after hours the next night. I do a book club for elementary students one day and then plan a life size game day for tweens and teens. I read picture books and plan storytime and read young adult nonfiction that would be great for homework help. I make Caldecott, Newbery and Printz pedictions all in the same reader's advisory training. My job is to work with all youth-ages birth-18. So where is the respect and support for each other in our various divisions and departments? Why do we instead treat each other like it's a competition? Why can't we work with each other and help each out? Why can't we be youth services and create something together? Teen services are often considered the black sheep of library services at times. Whereas children's services has been around long enough that it's a known and accepted part of library services. If you tell someone you're a children's librarian, they know what you mean (even if all they think is you read books to kids). If you tell someone you're a teen librarian, they don't know what you're talking about. Yet working in both departments, we have the same goals. Why do we have to push against each other and fight each other and stay in our selected age group bubbles? Why can't we all work together? When my husband tuned into the Youth Media Awards Announcements this year (because he's amazing and wanted to support my work on the Printz Committee) he told me afterwards that he thought it was strange that the Printz Award was announced in the middle instead of at the end with the Newbery and Caldecott. He pointed out that if it's a major literary award, shouldn't it be included with the other two major literary awards, despite the sponsoring division? I honestly didn't have a good answer for him other than, umm, well, that way the division President only has to get up and speak one time? Again, I wonder about the respect that we get as a whole. Why are teen and children's services viewed separately and at times with a dislike of each other? I'm not saying that ALA needs to change and create one giant youth services division. But I am saying that the idea that children's and teen librarians don't get along or don't work together needs to change. I think we're getting there-we have joint receptions at ALA, we share the Youth Media Awards Annoucements. But I would love to see more collaboration and support in youth services. There is so much we can gain and learn from each other by working together. I want to be accepted as a youth services librarian who works with ages birth-18 and can work with babies and teenagers because that's my job. Let's respect each other. Let's support each other. And let's work together. Great post Sarah. I think about this in relation to the dues I pay to join ALSC and YALSA. They are both expensive unfortunately but I do consider myself serving children and teen so I feel it's important to support the divisions. I just wish that they worked better together and were less expensive since as you rightly point out, we have MANY of the same goals. We do have many of the same goals and I think we need to work together more. Many of us are serving both age groups and members of both divisions. Working together is fine, but I think we should be careful suggesting it's all the same thing. I think that teens really do need library staff devoted to them. I'm sure it's different with you as manager, but I see too many libraries that just change the children's librarians to youth services and say "of course we serve teens!". It's one thing if you sign on as a youth services librarian, but I dislike the idea of of a person taking a job as a teen librarian and then being told they are doing a regular story time session (filling in is a different animal) and neither should someone be forced into teen services. Nobody wins then, especially not the patrons. Beth-I agree. I think still having areas that you specialize in are important. I have a teen librarian and staff that do weekly storytimes. But as youth services, we also cross-program and help each other as needed. When I need coverage on the desk in one area, I have a larger group to pull from. When a teen comes into the library asking about the summer reading program, I need to be able to have staff give prizes and explain the program instead of relying on my teen librarian (who is only here 40 hours a week with a library open 80) to handle it all. I don't think it's all the same thing, but I do think we have similar goals and that we need to work together more. I also think we need to have respect for both areas. I often feel like teen services is the black sheep of libraries. 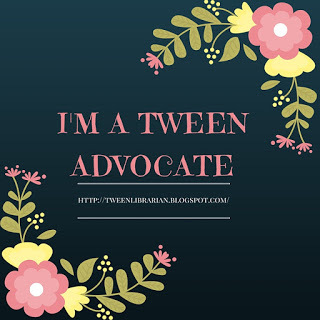 I was very frustrated by the comment at ALA because I do work with both ages, yet I felt like I should only have loyalties to one area of youth services. Great post: I agree. I don't think we can afford to split our allegiances within Youth Services and fragment ourselves any more further than we already are. I think we can still work in our divisions but also join together and create stronger support for youth services. I also want more respect and collaboration between both departments. One of the best programs I went to at ALA was a joint president's program on the digital lives of tweens and teens put on my ALSC and YALSA-because we combined forces I think we were able to have a better program that covered an area that was relevant to everyone in youth services. I'm a youth services assistant and I'm with you all the way!! Thanks Kym! I know more and more libraries that are youth services instead of split into children's and teen and it makes sense we work together more. It's one of my long-term secretish goals to create a youth services department at my library and combine teen & children's staff. I do agree that teens need dedicated teen staff, but I also know that several of my staff (myself included) are interested in working with teens, as well as children. If teens is included in youth services, we have staff to back up our teen librarian and help her out. As it is now with teen as part of reference, our teen librarian doesn't really have anyone who is willing and able to help her out with programs, etc. I also think that by combining our departments, it might make that transition from the Children's Room to the teen area a little easier for kids. I would definitely still want the teens to have a separate area in the library (and, ideally, a dedicated programming room). YES! I think they need separate programs and dedicated staff, but it's so much nicer to know that I have staff that can backup my teen librarian and help with programs and cover the desk. When I was a teen librarian, I worked in reference and I was often my own island. Now we have a larger group of people to pull from. This was a fascinating post, and it was just as interesting to read the comments. As a teacher and just-starting-out-librarian, it honestly isn't so surprising to me that many people would have strong feelings about specializing in one area or the other. I know many all star elementary teachers who wouldn't be caught dead teaching in the middle school, and vice versa. I think Beth had a great point that people should know what they're getting into from the beginning - personally, I would be head over heels for the opportunity to work in "youth services," but I can see why others who have long been in one department or the other might be more resistant to a merge... This is something I'll be thinking about for a while! I think you're right about people being comfortable in their one are and not wanting to branch out to others. I was at a conference once where the presenter was a teen librarian speaking to a crowd of children's librarians. She joked that teen librarians were angsty and always whining that no one understands them whereas children's librarians were so warm and welcoming. I've thought about that comment a lot over the years and I can't help but wonder if that plays into how our divisions and departments are perceived by the other. And I wonder if the fact that often teen librarians are on their own without support and respect that they feel isolated and alone whereas children's typically has a department of people to work with. I don't think everyone should have to do everything, but it is nice to be able work together, program share and have a larger group to pull from. I love this post! Thank you so much for it. We have a large youth services staff, and I love the opportunity to specialize in K-5 programming/collection and library field trips for classes preschool-5th grade; but since I'm not a storytime librarian or a teen librarian, I too can't help but sometimes feel like the odd-librarian-out when meeting YS librarians (or even attending discussions) at conferences. I know that it's hard to make something for everyone, but I really see the value in viewing YS as a whole, 0-18 spectrum. After all, those babies will soon be teen library users. How will their journey look for them? Exactly! I think we should know about and care about those kids throughout their entire library journey. I also think it's somewhat silly to say "but that doesn't relate to me" because it does all relate. And if we want respect in our area, we need to respect and support others. For those of us working in tiny systems, it's crucial that youth services staff be able to serve and relate to all ages! I recently became a public services librarian after a number of years as a youth services assistant. Because we are a small staff and I have a background working with kids and families, I still regularly run programs for children and teens. Personally, I love the variety. :) I also feel like being comfortable with the whole range of ages we serve gives me a really solid understanding of the collection and the resources we offer, as well as helping me think outside the box to guide patrons to what best suits their needs. I also feel like being comfortable with the whole range of ages we serve gives me a really solid understanding of the collection and the resources we offer, as well as helping me think outside the box to guide patrons to what best suits their needs. I love that said that! I agree so much. The more understanding we have of the collection and the resources, the more we can offer our patrons. One way I think we get over the divides are through our social networking and linking together outside of larger professional organizations likeALA/ALSC/YALSA. I have been chatting lots more with teen folks through twitter, the blogosphere and now Code Named Awesome and I just feel like those are where the divides can dissolve and we can work towards support of each other. As a youth services manager, I want to be thinking of 0-18 kids and all staff who work with these age groups. But beyond that, we have enough fights as youth services folks to stand up against misunderstanding of the good stuff we do from other librarians...so we gotta stick together! I agree that social media has helped me reach out to others in different divisions and departments and help create a larger professional network.